Go check out Todd's blog with AWESOME pictures from the Broke* Wrap Party last week! It was an amazing night...let's just say that night Kate was passing out post concert treats..i.e. oatmeal cream pies & happened to hand one to a person who wrote and sings a song called "Making Pies." Haha. A-woo-hoo. Anyway...go check out Todd James Photography for some sweet visuals. Se you all there at 8pm. 12th & Porter. We will be there with big smiles on our faces. Go Broke* or Go Home. 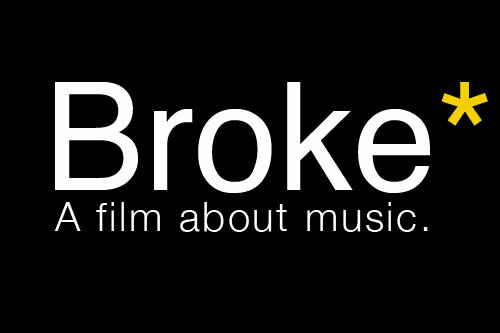 First, if you don't know what Broke* is, it's this ridiculously awesome documentary about the music industry. Trust us, you are going to want to see this flick--but more importantly--you, the music lover that you are, want to get in now and join the Broke* movement and become an actual part of this amazing project. We need your help..so tell your neighbor, tell your parents, tell the person reading this over your shoulder...haha....tell anyone. First: Go to the Broke* website and watch the trailer. Second: If you haven't ordered your Broke* t-shirt then go order one RIGHT NOW!!! Let me tell you, these shirts are really great conversation starters. Every time I wear mine people ask me about or make funny "one-liners" to talk to me about my shirt. It's good times. You'll want to wear one and test the waters. How many times could we say Broke* in a blog? Broke*, Broke*, Broke*. Hugs from two Broke* girls. 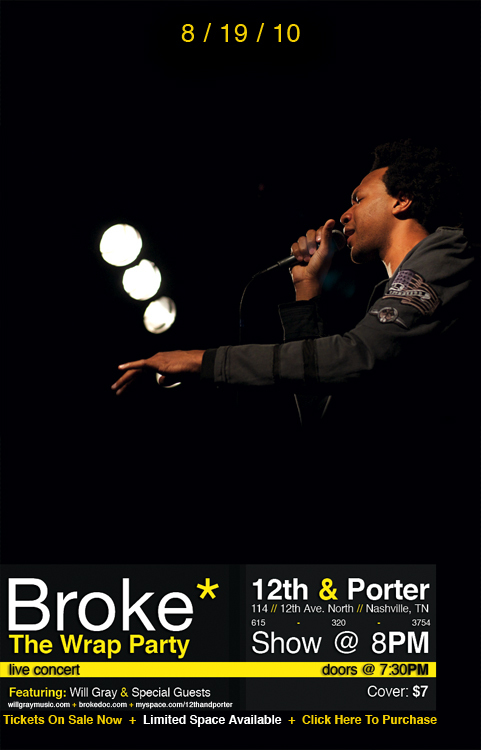 Our dear friend Will Gray is spearheading this movie...go check it out...it's called Broke*. Watch the trailer, tell all your friends about it, shout it from the rooftops...hahaha...and follow them on Twitter!